Born in a bar and borrowed from nature, the Hexcup now has thousands of supporters all over the world. Two college buddies had the idea years ago in Rolla, Missouri, and turned to Kickstarter to launch their dream. “So what if it was shaped like a honeycomb,” said Aaron Attebery, remembering the conversation he and William Heimsoth had one night. “It was exciting then to kind of see our idea physically and really had the idea then that this could work,” said Heimsoth. After months of planning, the pair launched their 60-day Kickstarter campaign hoping to raise $50,000 to manufacture a large quantity of Hexcups. They far surpassed that, raising more than $108,000 from more than 3,000 supporters. "I think Kickstarter has moved our project forward maybe years," Heimsoth said. All kinds of Kansas City dreams use crowdfunding. An Olathe teen hopes Kickstarter will help her comic book come to life. Josh and Abby-Jo Eans used Kickstarter to launch the Columbus Park Ramen Shop last fall. Representatives at Kickstarter said about 36 percent of Kickstarter projects reach their goals. There are important steps to successfully use crowdfunding sites like Kickstarter and Indiegogo . That’s part of what Bryan Boots talks about with hopeful entrepreneurs at University of Missouri - Kansas City. He manages the Entrepreneurship Scholars program and teaches topics like entrepreneurial finance and venture capital. “I don’t think there is anything risk free,” said Boots. We enlisted help from the crowdfunding and start up communities, and here are four tips to get your dream online and off the ground. First, Boots said it is important to protect your idea or intellectual property if you think it might qualify for legal protection. A patent attorney can help you apply for even a provisional patent. “We were careful to protect our product before we went on Kickstarter,” said Heimsoth. 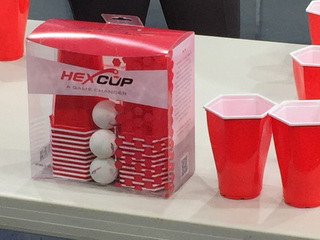 Hexcups didn’t sell themselves. Attebery and Heimsoth said they were constantly reaching out to get their product known. They say one post on a Facebook page got Hexcups millions of views. Boots agreed. "Whatever their field is, reaching out to the influencers, trying to get publicity, write-ups, reviews, things like that,” said Boots. Kate Drane of Indiegogo said building that buzz before launching your campaign is key. Before working at Indiegogo, she launched her own campaign on the site in 2011. “Fast momentum when you first launch is one of your biggest keys to success,” she said. Everyone agreed having a video to help tell your story is crucial. “The video is what sells your product,” said Heimsoth. “It doesn’t need to be professionally produced, but professional-looking,” said Boots. Right at the start, prepare to succeed. Good rewards can win people over, but you better be ready to follow through. “There was a point where we had to shift gears from getting attention to the product to how are we gonna do this?” said Heimsoth. But because of their months of planning, they do say they feel ready to start getting their Hexcup customers what they want. “We have four thousand units…in our houses!” laughed Attebery. “What is really important for anybody to do is to be honest and transparent with their backers,” said Drane. Last summer the Federal Trade Commission announced a settlement in its first crowdfunding case. The FTC had filed a complaint that a man who used Kickstarter to raise money for a board game used most of the money on himself. Drane said the people who use Indiegogo are vetted twice before they get their money by the site’s Trust and Safety team. Kickstarter’s Trust and Safety page states its Integrity team uses algorithms to monitor for suspicious activity. So if you’re ready for strangers to fund your dreams, Drane recommends two things most. Want more advice? Try the Kickstarter Creator Handbook or its YouTube playlist of Kickstarter Creator Basics. You can also check out the Indiegogo Help Page!